The No. 9 Denver Pioneers (7-5-1) host Colgate (4-4-2) from the ECAC in nonconference action on Nov. 28 at Magness Arena. Puck drop is set for 7:37 p.m. against Colgate on Nov. 28 The game will be webcast live (fee) on www.DenverPioneers.com and broadcast live on 560 AM. Denver is 3-1 all-time against Colgate in the series that started in 1969. DU defeated Colgate, 3-2, in the last meeting on Oct. 7, 2006, at the Ice Breaker Invitational in Oxford, Ohio. The Raiders visit Denver for the first time since Jan. 3-4, 1969. The Raiders are winless in their last five games at 0-3-2 after starting the season 4-1. Brian Day, a sixth round draft pick of the New York Islanders, is the best-known forward for the Raiders, and Austin Smith and David McIntyre join Day in leading Colgate in scoring with eight points each, while Quebecker Francois Brisebois has added seven points and a team-leading three power-play goals. Junior goaltender Charles Long has a 3-4-2 record with a 1.87 GAA and .924 Saves percentage. In 1817, the Baptist Education Society of the State of New York was founded by 13 men (six clergymen and seven laymen). Two years later, in 1819, the state granted the school's charter, and in 1820, the school was opened. In 1823, Baptists in New York City (including William Colgate, who created the Colgate-Palmolive company, makers of soap and toothpaste) moved their seminary to Hamilton, NY to form the Hamilton Literary and Theological Institution. This was the beginning of the Colgate family's involvement with the school. The school changed its name to Madison University in 1846. In 1850, the Baptist Education Society planned to move the university to Rochester, but was halted by legal action. Dissenti ng trustees, faculty, and students founded the University of Rochester. 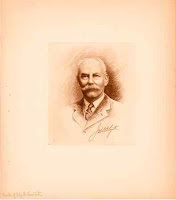 After seven decades of the Colgate family's involvement with the school, Madison University changed its name to Colgate University in 1890 in honor of William Colgate and his two sons, one of whom, J. B. Colgate (left), established the Dodge Memorial Fund of $1,000,000. The theological side of Colgate merged with the Rochester Theological Seminary in 1928 to become the Colgate Ro chester Divinity School, leaving Colgate to become non-denominational. In 1970, Colgate became coeducational. About 95% of seniors graduate and most alumni proceed to graduate schools in law, administration, engineering, medicine, the arts and the sciences, as well as to financial, administrative or scientific occupations. As of 2008, Colgate is ranked 18th in the U.S. News and World Report ranking of liberal arts colleges in the United States and 44th in the Forbes ranking of all U.S. universities. 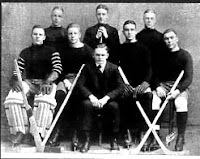 Colgate began playing hockey in 1916, playing without a coach at first, and played only in sporadic years for the next 15 years, accumulating only about 35 total games prior to the 1932 season. At that point, J. Howard Starr took over the program as coach. During his tenure at Colgate, Starr established himself as the then-winningest hockey coach in Raider history. He guided the program for 15 seasons (1932-42, 1945-50) while posting an overall record of 86-72-4 including one undefeated season. His squads won the Lake Placid Intercollegiate Ice Hockey Tournament four consecutive years (1938-41). After Starr left temporarily as coach in 1942, Greg Batt, a player on the 1942 Colgate team, took over as player-coach. Batt is considered one of the greatest hockey players in Colgate history. Batt guided the Red Raiders to an undefeated 11-0-0 season in 1943-43 . It is acknowledged that the 52 goals and 36 assists he scored in that campaign constitute an all-time Colgate record for goals, assists and points in one season. Batt was later invited to play in the 1948 Olympic Games. He also lettered three years in baseball and tennis, and would later become coach at nearby Hamilton College until the early 1980s. Starr returned to coach Colgate in 1945, and led Colgate to a second undefeated season in 1946-47 at 14-0 and won the national AAU Championship, in the last season before the NCAA began hosting a National Tournament in 1948.
Colgate entered a fairly grim period throughout the 1950s, with no winning seasons until the 1961-62 squad went 18-6 in the newly constituted ECAC under coach Olav Kollevall. Perhaps the biggest bright spot of the ‘50s was the opening of Starr Rink in 1959, which while renovated in the 1990s, is still the hockey home of the Raiders. Starr Rink was one several arenas used in the filming of the 1977 cult hockey classic film, “Slap Shot”. Coach Kollevall had some pretty good teams in the early 1960s, and his 1962-63 squad was the first Colgate team to go to the ECAC playoffs at 16-5-1. But the good times didn’t last long, as the Raiders fell into another long fallow period, with only two winning seasons between 1964 and 1978. In 1977, Terry Slater, a 1961 St. Lawrence all-American player from Kirkland Lake, Ont. became coach of the Raiders, a job he would hold until December of 1991, when he died on his 54th birthday, four days after suffering a tragic stroke at his home. Slater had some good teams in his early years, including the 1980-81 team, that went 21-12-2 and made it to the NCAA tournament for the first time as a #4 seed, losing in the quarterfinals to Minnesota in Minneapolis by 9-4 and 5-4 scores in the two-game, total-goals series. Slater would later guide the Raiders to 12 more winning seasons in his next 14 years as coach, racking up 280 wins, 180 losses and 23 ties. In the calendar year before he died, Slater guided the Raiders to the best season in school history in 1989-90, when the Raiders went 31-6-1, cruised to the ECAC regular season title, and the won ECAC tournament title in Boston behind the goaltending of Dave Gagnon. As host of an NCAA quarterfinal series as a #2 seed, the Raiders beat Lake Superior State, 3-2 and 2-1 in the two-game total goals series to advance to the Frozen Four in Detroit. In the national semi-final against Boston University, the Raiders edged the Terriers 3-2 in a thriller, setting up a showdown with Wisconsin in the NCAA final. Unfortunately for Colgate, the Raiders took a series of early penalties. The opportunistic Badgers jumped on the Raiders for some power play goals, jumping out to a 4-1 lead in the first 10 minutes of the game and crushing the hopes of the Raider faithful en route to a 7-3 final score. Current coach Don Vaughan took over the program in 1992-1993, and after a pair of down years, returned Colgate to six straight winning seasons, culminating in 2000, when the Raiders went 24-9-2 and returned to the NCAA tournament as a #4 seed, taking Michigan to overtime before falling 3-2 in Albany, NY. Vaughan returned to the NCAA tournament as a #4 seed in 2004-2005, when the Raiders went 25-11-3 and fell to Colorado College 6-5 in the NCAA regional in Grand Rapids, Mich. The number 13 is considered to be lucky to Colgate. It is said that Colgate was founded by thirteen men with thirteen dollars and thirteen prayers. This manifests itself in a number of ways, such as Colgate's address (13 Oak Drive); zip code, 13346, which begins with 13 and the last 3 numbers add up to 13. The early Colgate color was orange, but a Special School Committee on Colors decided to adopt “Colgate Maroon” on March 24, 1900. Gray was added later. * John Marks (1931), creator of "Rudolph the Red-Nosed Reindeer," etc. * Lawrence Bossidy (1957), chairman, CEO, Honeywell International; former CEO, AlliedSignal Inc.
* Cyrus Eaton (1941), chairman, Eaton Corp.
Hamilton is a town in Madison County, New York, United States. Hamilton is situated in the heart of New York State’s leather stocking country, made famous in th e writings of James Fenimore Cooper. The population was 5,733 at the 2000 census. The town is named after the American patriot, Alexander Hamilton. 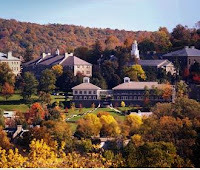 Much of the town serves Colgate University. The location was formerly called Payne's Corners. The Town of Hamilton was established in 1795, before the county was formed, from the Town of Paris in Oneida County, New York. The original town was reduced to create new towns in the county. Hamilton is located in the center of New York State on Route 12B, just 20 miles south of the New York State Thruway (I-90) and 30 miles east of I-81. Homes, shops and a country inn center on a village green that is the site of a weekly farmer’s market. 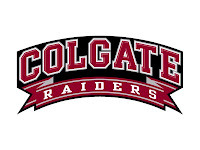 Having not seen the Raiders play this year, it’s hard to know what kind of Colgate team will show up in Denver as the first stop in a two-game Colorado swing against DU (Friday) and CC (Saturday). Will we see the Colgate team that went 4-1 to start the season, or the more recent 0-3-2 team that has played the last 5 games? Against ranked teams this November, Colgate lost to then #9 Princeton 2-1 on OT, then lost and tied against #14 Cornell 4-1, and 2-2, then tied #18 Harvard 2-2 in last weekend, so chances are, even when it doesn’t go the Raider’s way, it’s a close game. The Raiders, 4-4-2 overall, head out west following a 1-0 loss to Dartmouth and a 2-2 tie to then 18th-ranked Harvard, last weekend at Starr Rink. Colgate will bring one of the nation’s most stingy defenses into the weekend. Led by a veteran laden cast of blueliners and goalie Charles Long, the Raiders have allowed 1.90 goals per game, which ranks in a tie for 11th nationally. Colgate’s penalty kill remains one of the top in the country as well. The Raiders, also tied for 11th, have successfully killed off 57 of 62 attempts against, including 21 of their last 22. Long has started nine of the first 10 games and sports a 1.87 goals against average and a .924 save percentage. The junior is 16th in the country in goals against average. DU is coming off a Jekyll-and-Hyde split with Minnesota, where Friday, DU was awful in a 5-2 loss, but after a players-only team meeting and coach Gwozdecky’s benching of four regulars the next night, the Pioneers played great hockey in shutting out the top-ranked Gophers, 4-0. The Pioneers have the nation’s eighth best offense (3.38 GPG), and the game may hinge on the effectiveness of DU’s power play against Colgate’s 11th best PK. (92%). Goaltender Marc Cheverie, who this year has been up and down, appears to be righting the ship, and I would expect to see Patrick Mullen return to the lineup this weekend as a puck-moving defenseman with Patrick Wiercioch’s duties likely limited to the power-play only due to an upper-body injury. With the confidence coming off shutting out the nation’s best team last weekend, and playing on home ice, Denver certainly would be the favorite on paper. However, with the students away from campus on winter break and a heated local rivalry game looming on Saturday against Air Force, a classic “trap scenario” awaits the Pioneers if they are not totally focused on the Raiders.